Hello everyone! How are you all? I'm doing okay. I'm having a slight problem with my mini prints. 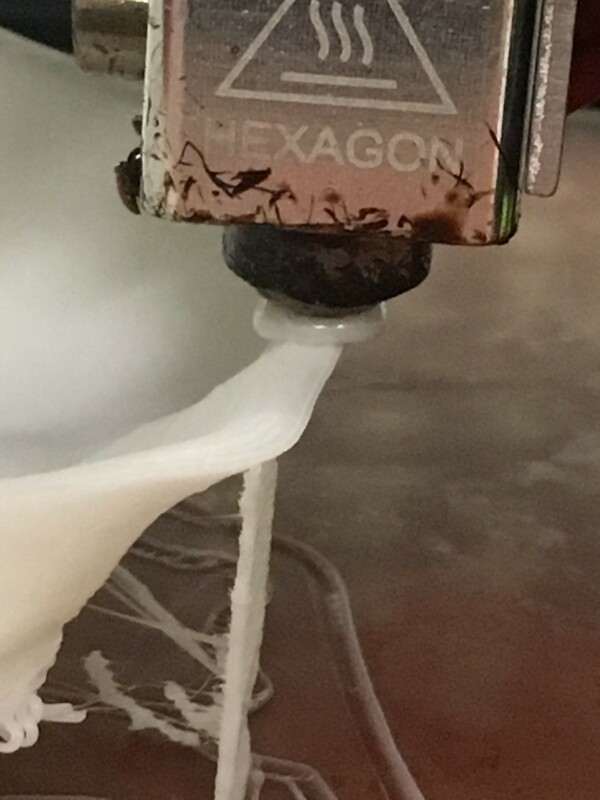 The extruder keeps getting stuck on everything I print. It happens with both PLA and ABS. I've tried slowing down the printing speed, but to no avail. That pooling or accumulation around the nozzle isn't normal. Double check the filament and extrusion parameters in your slicer.